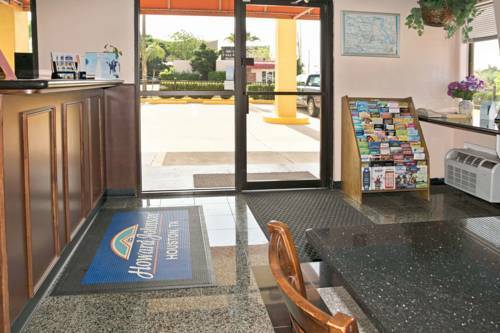 Take the family to this Howard Johnson Inn Houston Downtown just off Interstate 10 near George R. Brown Convention Center, Downtown Aquarium, parks and sporting events. Space Center Houston, Johnson Space Center and NASA operations are less than a half hour away. Nearby restaurants offer a delivery service to this lodging. Wake up to a complimentary Rise and Dine continental breakfast with hot items, stay up to date with the complimentary newspaper, and plan your exciting day with complimentary wireless Internet access. A business center with computer access is available to stay productive on the road. Comfortable guest rooms include refrigerator, microwave, work desk and coffee/tea maker. Smoke-free and handicapped-accessible rooms are also available. There is no charge for children 17 and under with an adult.